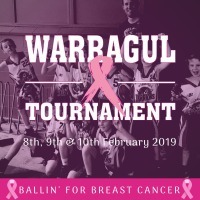 Warragul District Amateur Basketball Association has been accepted as a BETA tester for the upcoming release of Courtside. The Courtside application has been developed by SportsTG, to replace the current computer scoring system, Stadium Scoring. 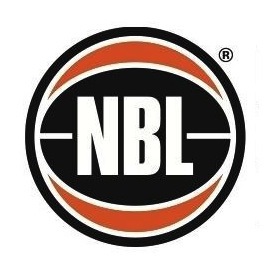 The Courtside application will be running at Warragul Basketball Stadium only for the remainder of the season as a test for Basketball Australia. Please view the following video for instructions on how to use the Courtside application. Want to find out more information about your local junior Warragul & District Amateur Basketball Association club? We have a full list of contact details for your club. Who are the Warragul Warriors? Representative squad is about encouraging young basketball players to further develop their skills and to achieve to the best of their ability in all aspects of the game of basketball. Squad Representative Sides are made up of players from all clubs registered with the WDABA. There are approximately 100 plus players aged between 8-17 years involved in these teams, representing teams in age groups from U10’s through to U18’s. These squad teams have been developed for all age groups to establish and foster skills development and succession planning for a wider range of juniors. Squad representative basketball is a fantastic way for your child to further develop their basketball skills. It takes quite a commitment from both players and parents, which for a successful team should be encouraged and maintained even when you’d love nothing more than to stay home and not have another trip out the door. Parents should show support to their child, and encourage team mates equally. Respect should be shown to the coach. Any issues which you may have regarding, team selection or games should be directed to the coach, well after the completion of training sessions or games. Code of conduct is attached and must be read and signed by players and parents upon registration. Parents are expected to score on rotation, so please familiarize yourself with the scoring system for both domestic and tournament games. Squad coaches should be passionate about basketball. They are leaders, with an ability to create a vision of where they want to take their team. Developing a clear picture of their goals and expectations for their team to provide motivation for players to work hard and reach their full potential. Team rules and expectations as set out at the commencement of the season are to be adhered for the duration of the season. Warragul Warriors CBL training CBL kicks off soon. Men's CBL training is yet to be finalised. 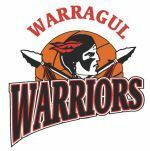 Keep up to date with all the latest Warragul Warriors news and information over social media, with the Warragul Warriors Official facebook page & Instagram.